What are the Most Energy Efficient Windows on the Market? According to the US Department of Energy, consumers lose $35 billion in energy dollars per year due to inefficient windows. The windows in your home are responsible for keeping your home cool during the summer and warm during the winter, but the reality is that not all replacement windows excel at keeping your home comfortable year-round. In order to truly reap the benefits of energy efficient windows, you’ll need to choose new windows that are certified by Energy Star and include energy-saving features. Not every window is qualified to receive Energy Star certification. Energy Star is a government-backed program that helps homeowners recognize the most energy efficient products on the market, from clothes dryers to replacement windows. Quality frame materials: Some of the most energy-efficient framing materials on the market include vinyl and fiberglass. At least two panes of glass: The most energy efficient on the market are dual pane or triple pane windows. Low-e glazing: This specialized glazing reflects infrared light and ultraviolet light. It’s invisible to the naked eye and helps reduce your utility bills. Although there are numerous energy efficient window options on the market, you’ll find one of the very best from Universal Windows Direct. Two-to-three panes of glass: Otherwise known as dual pane and triple pane windows, UniShield® windows incorporate efficient glass packages to save homeowners more energy. When you choose UniShield® Premium or Supreme, you’ll enjoy triple pane windows with the extra benefit of blocking outdoor noise. Argon or krypton gas between the panes: Argon and krypton gasses are invisible, odorless gasses that help increase your window’s thermal efficiency. 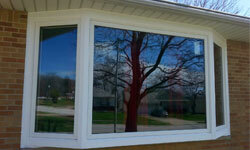 UniShield® windows include these gasses and reduce heat transfer through the window. Low-e glazing: UniShield® windows include a double coat of low-e glazing, which helps keep your home warmer in the winter and cooler in the summer. Are You Ready to Save More Energy? 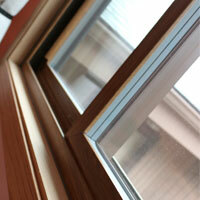 If you’re looking for one of the most energy efficient replacement window options on the market, your search is over. Your local Universal Windows Direct delivers the ultimate value with efficiency, quality, and value with UniShield® replacement windows. To learn more about saving energy UniShield® or to get your free estimate, contact us today.